We know that in order to get the best out of a child at school we need to get involved at home, in school and on the streets. Many young people lack the behavioural and emotional capacity to do well at or even cope with mainstream schools, with far too many disengaging, underachieving and at high risk of exclusion. 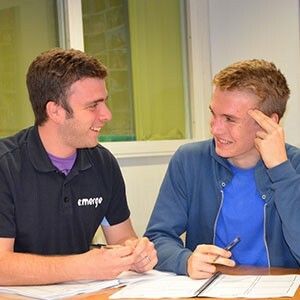 At e:merge we have developed a range of services tailored to the needs of individual schools that help young people settle and get the best from their education. We have had incredible success working with the most disengaged young people. Underpinning all we do is our belief in the significance of loving lasting relationships. One to One and Small Group Work is hugely effective. The school makes a referral to our trained worker. We then explore each aspect of a young person’s life using our tailor-made toolkit. 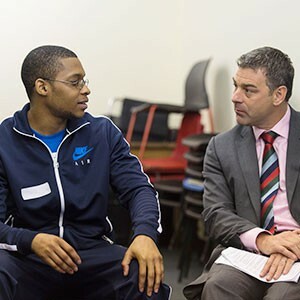 From this foundation we develop personal development programmes bespoke to each pupil’s needs. Our focus is on developing emotional capacity, self-esteem and patterns of behaviour that enable a child to re-engage with learning and establish stability and resilience. Results are often seen in a matter of weeks and our presence proves to be a lifeline for many children. We run a range of out of school days, currently working on behalf of seven secondary schools across south Bradford. 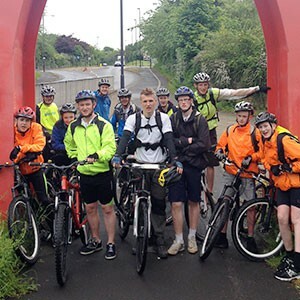 Sport and the Great Outdoors – Here we engage young people in a team environment and take them into new and exciting places out of their comfort zones, while developing self-confidence, a sense of achievement, fun and fair play. This session can include a high level of coaching and can offer Sports Leaders Awards and Duke of Edinburgh accreditation. If we can successfully re-engage young people in community then the impact is incredible. This programme gets young people actively involved in the community, and employs a curriculum exploring Leadership, Spirituality and Contribution. 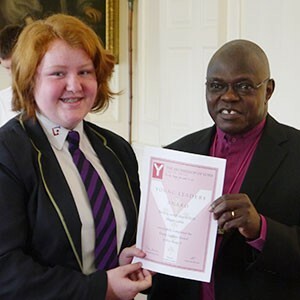 The Archbishop of York Award is available. In an image conscious society we see many girls at risk of exploitation. 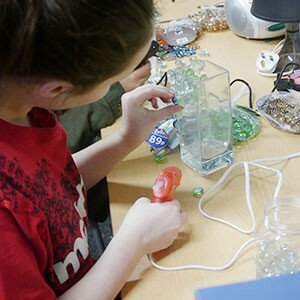 We take their interest in fashion, beauty, cooking and art and weave it into courses on body image, protective behaviours, personal safety and self-esteem. This is a hugely valued course. Foundation Stage, KS1 and KS2 PE teaching. We are able to effectively teach the whole PE curriculum across a primary school including a range of added value offsite sessions. Sports Clubs, before and after which can be targeted at particular needs such as increasing attendance, building confidence etc. For many of the older young people we work with school was not easy, the reality of unemployment is tough and the task of getting a job often seems too daunting. We provide young people with all that is needed to help them face the world of employment. This includes confidence building, developing skills, discovering their likes and dislikes and exploring the many options available to them. When Claire was 13 her school attendance was less than 30%. She struggled with family difficulties and bullying, and constantly talked about wanting her own baby. Through weekly one to one intervention from an e:merge worker, Claire has raised her school attendance to 95%, has been discharged from CAMHS and has decided now is not the right time to have a baby. Claire is now on track to achieve at least 5 A-C GCSEs and has applied to go to college.